In 2016, the Metro Area Crime Center opened up in downtown Birmingham. Deputies from 20 agencies work together to solve local crime. Journal photo by Ingrid Howard. It’s the most wonderful time of the year, which also means that retail crimes are about to increase as holiday shoppers feel pressure to provide gifts for friends and family. 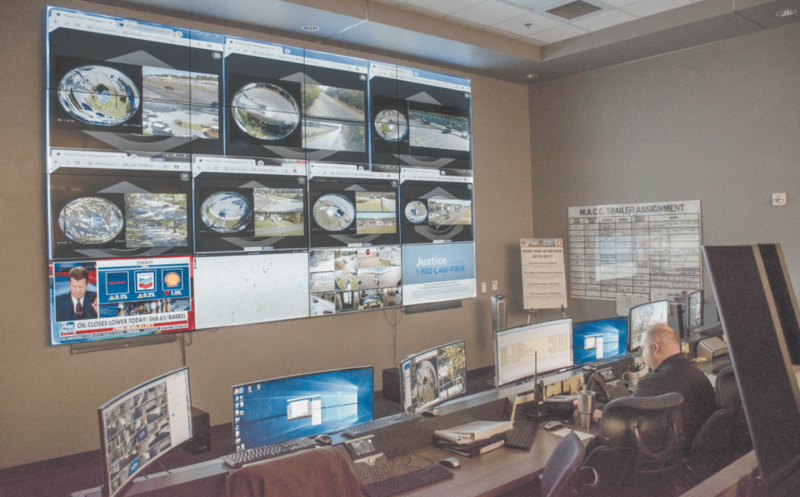 In the Birmingham metro area, Sheriff Mike Hale has found a way to more accurately predict the next crime and give officers tools to intercept crimes. It started when former President George W. Bush set up fusion centers and joint terrorism task forces to 97 district attorneys across the nation during the War on Terror. Hale had conversations with deputies in Nevada who had fusion centers where they could come together and discuss crime trends. Hale was interested in bringing something like this to the Birmingham area, but he first had to lobby for a new records management system in the police departments. Finally, in 2016, the Metro Area Crime Center opened up in downtown Birmingham. Deputies from 20 agencies work together to solve local crime. Each deputy knows the trends specific to his or her city. For example, the Hoover representative can provide information about the Galleria to help curb retail crimes there this holiday season. “We would touch base with our Hoover representative, and he can tell you the seasonal problems they’ve had, and that would be a great starting point,” Hale said. The team at the MACC can then decide when the best time would be to place a security camera at the Galleria and where the best location would be to place it. These cameras run nonstop, and the video feed can be seen on one of the many screens that fills a wall at the MACC. Mountain Brook Police Chief Ted Cook was able to use the MACC to help solve a string of burglaries. “We had a little piece of information, a little part of a description of a person, and a little part of the description of the vehicle,” he said. When the Mountain Brook detective took that information to the MACC, another detective had information about a similar car. Each agency has a different piece of the puzzle, Hale said. When the 20 deputies come together, they can see the complete picture.